The first workers' party in South Africa has officially been launched and it hopes to garner the working class's votes and bag some seats in Parliament. 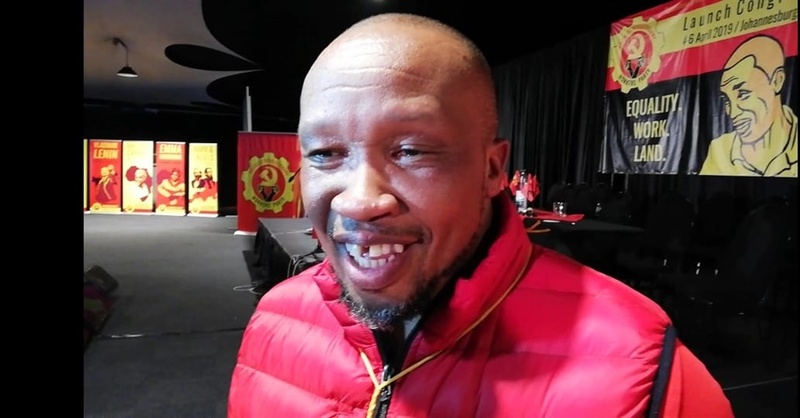 Trade union Numsa officially kickstarted the Socialist Revolutionary Workers' Party (SRWP) on Thursday, launching the party and its elective congress. The party adopted a 944-delegate list of eligible voters and had 54 international guests observe and issue their support. The South African Federation of Trade Unions (Saftu) supports the party and Secretary general Zwelinzima Vavi gave a message of support at the launch. Numsa president Andrew Chirwa said that the launch of SRWP meant history had been made. "Despite the rampant capitalism in our country, workers have opted to join a new workers' union". "We are serious about the revolution", said Chirwa. Just beside the main stage was a photo of outspoken socialist Vladimir Lenin, a former Russian president from 1917 to 1924 who advocated for direct rule by the workers and peasants. Congress delegates wore green T-shirts bearing the words: "No thieves, no traitors, no interventionalists, this time the revolution is for real" – a quote from former Cuban president Fidel Castro, who ruled that country for 52 years from 1959 to 2008. In his opening address as the convener of the SRWP, Irvin Jim called on all Numsa members to "not vote waste their votes on butchers". "Members should vote for a party which puts the rights of workers first," urged Jim. Jim said he wasn't worried about the fact that the party was launched just a month before the elections and believed that the party would salvage enough votes for seats in the National Assembly. "Unlike other parties, it was important for us to have structures on the ground in the form of branches, the delegates who are here are from launched branches," said Jim. He also urged members of the trade union federation Cosatu to vote for his party, saying he has a right to canvass and lobby support from workers across all unions. "I am saying they must vote with their feet and take a new step in their best interests," he added. Numsa was expelled from Cosatu in 2014, together with Vavi, the then secretary general of Cosatu. Vavi wore a "delegate" accreditation tag around his neck, and told journalists during a lunch break at the conference that he would not stand for any position in the new party, nor accept any nomination. "I am the face of Saftu, and I am not going to stand for any position because I don't want to send a signal to the rest of the family of unions that whilst they are discussing [ the possibility of a workers' party at Saftu] I have decided to move ahead," said Vavi. Representatives from socialist parties from Zambia, Brazil, the US, Spain and others also graced the congress for observation and support.